Create a full width paragraph of text that is stylized with a gradient layered background on top of a color of your choice. Responsive text in built in, so the full width paragraph style will automatically grow/shrink in text size for mobile devices. 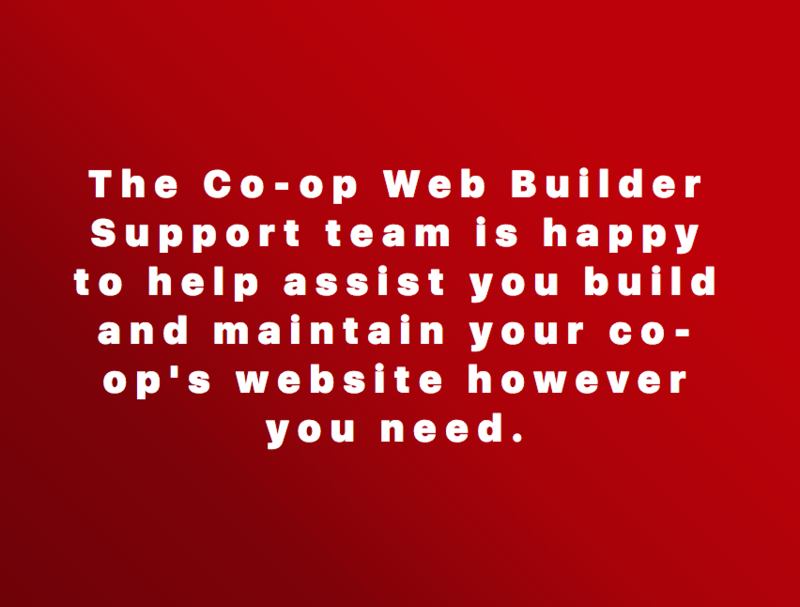 The Co-op Web Builder Support team is happy to help assist you build and maintain your co-op's website however you need.